President Museveni visited the crime scene where the late Hon. 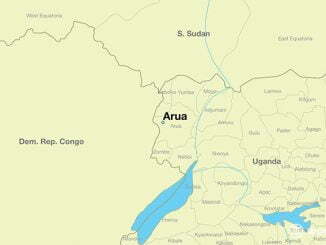 Ibrahim Abiriga and his bodyguard were shot dead in Kiwanda, Wakiso District, on 9th, June morning. 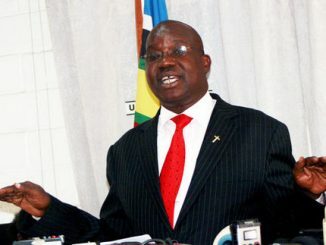 A cross-section of Members of Parliament has criticized the new security measures announced by President Yoweri Museveni saying that these cannot counter the increasing levels of criminality. 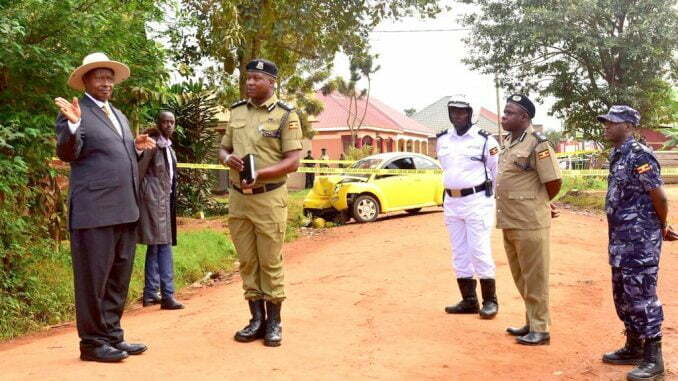 In the wake of the brutal murder of Arua Municipality MP Ibrahim Abiriga, President Museveni yesterday announced new measures to tighten security across the country. In a statement issued to the media, Museveni directed that electronically monitored devices should be mounted on all cars and motorcycles to enable security agencies to track them down at a particular time. The President added that some army reserve personnel were to be recalled for re-deployment following a recommendation by the National Security sub-committee to deploy some of the reserves in places where criminals may manifest. He equally observed a need for improved forensic capacity of the police and that some resources were to be diverted from other government programmes to invest in anti-crime infrastructure. However, the President’s proposed new security measures have been condemned by some MPs describing them as reactionary. Kapelebyong County MP Julius Ocen says that the new measures have not in any way stopped criminality in countries where they are already applied. Ocen proposed a National Dialogue on the Country’s State of Security so that all sections of the public come up with solutions to the current insecurity. Gulu Municipality MP Lyandro Komakech said that the national security and security architecture needs to be reviewed. He said that conflict indicators in the Country are quite many citing youth unemployment and others which need to be addressed. 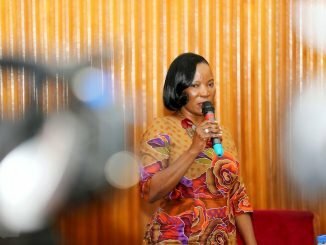 Komakech also said that the new proposed security measures should come out of the in-depth analysis of the current situation so that insecurity is dealt with. Dokolo South MP Felix Okot Ogong also criticized the measures citing a need for all security organs to meet and decide on a harmonized method to tackle the insecurity in the Country. Kassanda North MP Patrick Nsamba said that instead of the President focusing on installing CCTV cameras and tracking devices in vehicles, more attention should be given to controlling guns in society.